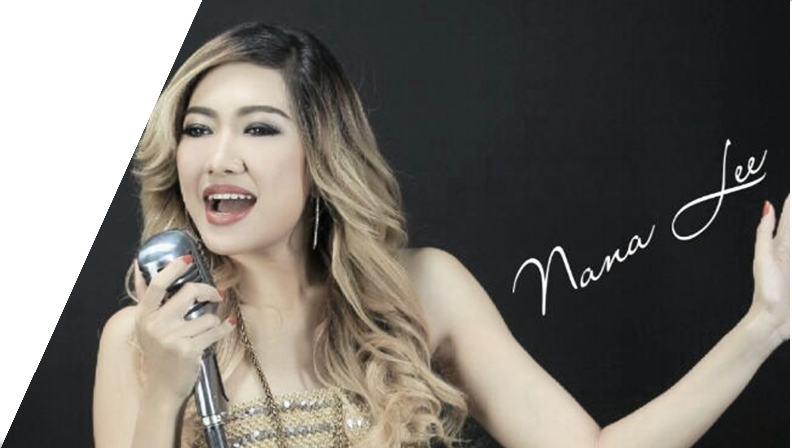 Nana Lee is a talented Indonesian-Portuguese & Chinese mix blood singer, song writer, saxophonist and DJ. Born in Jakarta, Nana became interested in music an acting at an early age. She performed in some theatre productions and landed minor roles on various television show in her hometown. She graduated her 1st degree in majoring of Economy, her singing career started in 2003. Nana indicated her music is primary influenced by jazz, pop, R&B, mandarin, and electronic music. She performs regularly at festivals, jazz clubs, five star hotels, all the way to the big events, also appear in National TV in Indonesia & Taiwan. Nana made her debut in Europe on January 2014, she represented Indonesia at The Indonesian Night of the World Economic Forum at its annual meeting in Davos, Switzerland. She currently traveling and perform in Asia from the middle of 2016, and made her new singing career at Shanghai - China, and was perform represented Indonesia in Asia Pacific Film Festival on December 2016 at Hang Zhou – China. On the early of 2017 she went to Netherlands and Belgium, and made some collaborations with the European musicians over there, now she's back to Taiwan to produce her new music project.